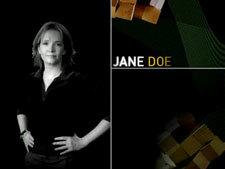 Jane Doe: Mystery and Suspense on Television. Lea Thompson starred as Cathy Davis, a soccer mom who is also a secret agent with the Central Security Agency, code named Jane Doe. 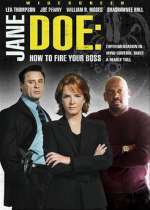 The series also stars William R. Moses as Cathy's husband Jack, and Joe Penny as her agency handler, Frank Darnell. This series of made-for-television movies appears under the Hallmark Channel Mystery Movie together with Mystery Woman, Murder 101, and McBride. As of late 2007, 9 episodes had been aired, though only one is available on DVD.